available for weddings in Manchester, Liverpool, Cheshire, Lancashire. Beautiful ceremony music, drinks receptions, meals. Interactive entertainment or background music for weddings. 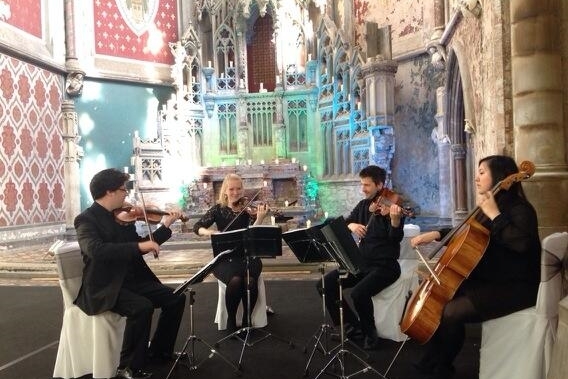 We provide String Quartets for weddings in the Northwest and are in high demand all year round providing beautiful music for ceremonies and receptions. The Quartet can play before, during and after the ceremony. 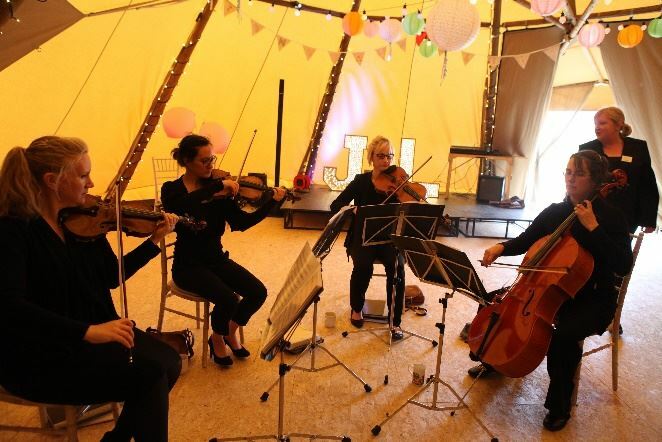 This could include playing as guests arrive, the entrance of the bridal party, signing of the register and exit of the couple, drinks receptions and background music for during meals. The style of music the quartet plays is completely up to you. 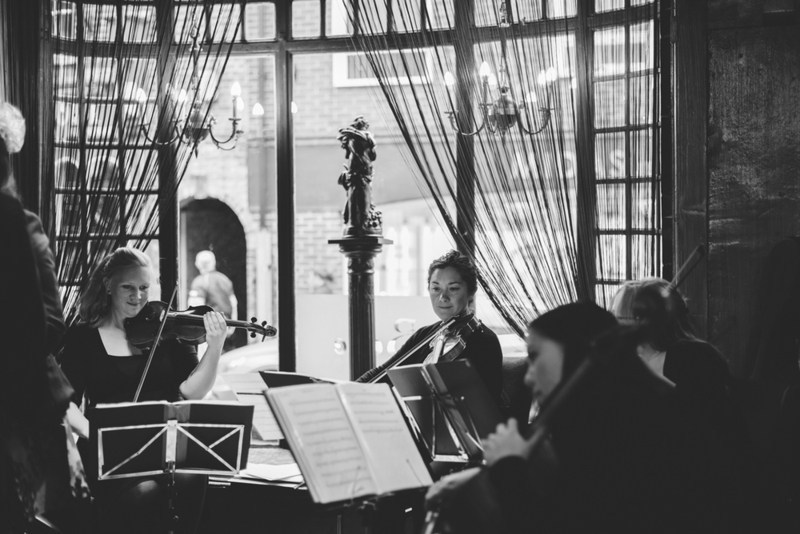 What sets our String Quartets apart from all the others out there is our huge list of repertoire which includes traditional classical pieces, jazz and a large number of pop songs. At the moment the most popular is our 2 hour long set of Manchester band covers. Get in touch and we'll send our most up to date list of music. 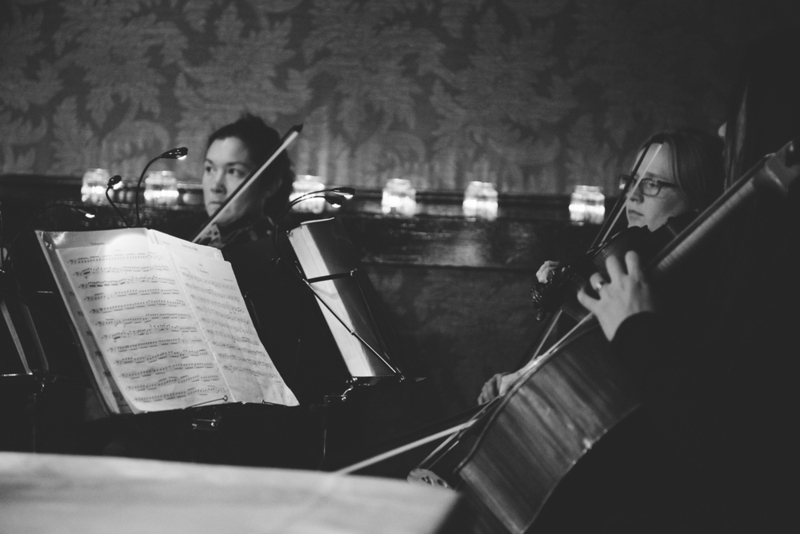 We can also arrange any song you may want for string quartet so you can have your favorite song as part of your wedding day. The great thing about a string quartet is that it can be as entertaining as required. We love to interact with the guests, taking requests and having a singalong (check out our JUKEBOX option below), but we are just as happy to provide elegant background music to complement the day. We always adjust our volume to the right level for the size of the room and if you choose to have your reception in a large space we can also be amplified! We are happy to play outside when the weather is nice, but we must be provided with some shade to protect our instruments from any sunshine or rain. Over 10 years we have built up a select network of musicians who are all friends and colleagues and excellent players. So if one or more of us can't make it on a particular day we bring in the finest professional string players. We can be booked by the hour or for one of our wedding packages - sometimes you need a little more flexibility with timings and that's what our packages offer. Please contact us with your specific requirements. Natalie or Sarah will be in touch and will organise the players for your event.